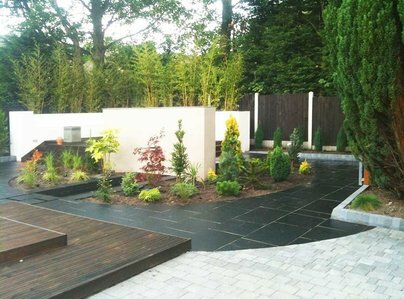 Bespoke Landscapes offers a range of landscaping services using the highest quality materials. Our commitment to offering a very personalised service means that we work closely with you to ensure all your wishes are fulfilled. We are part of the Marshall's registered contractor scheme which means the quality of our work is assessed on a regular basis. We are fully insured for all work we carry out and are able to provide our public liability certificate on request. 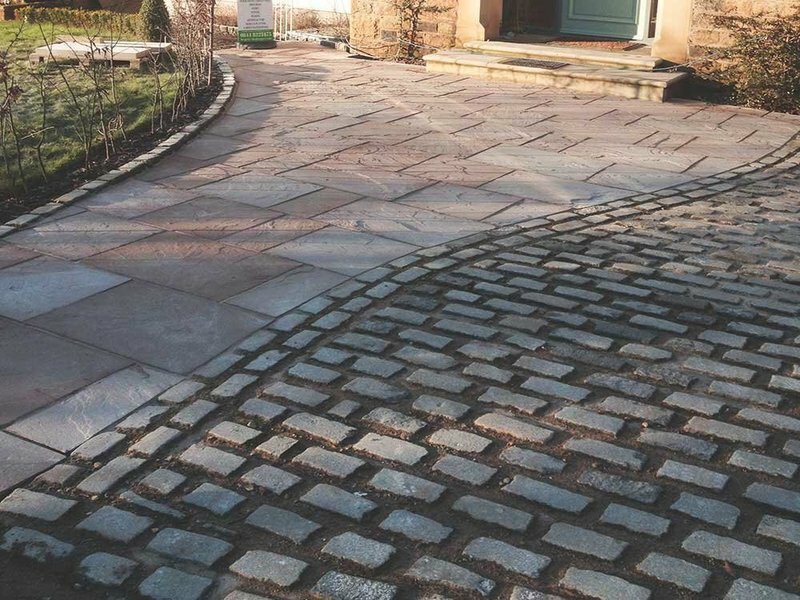 As part of the service we offer a comprehensive driveway design service using the 'Marshall's Driveway Visualiser Programme' which is exclusive to Marshall's registered contractors. 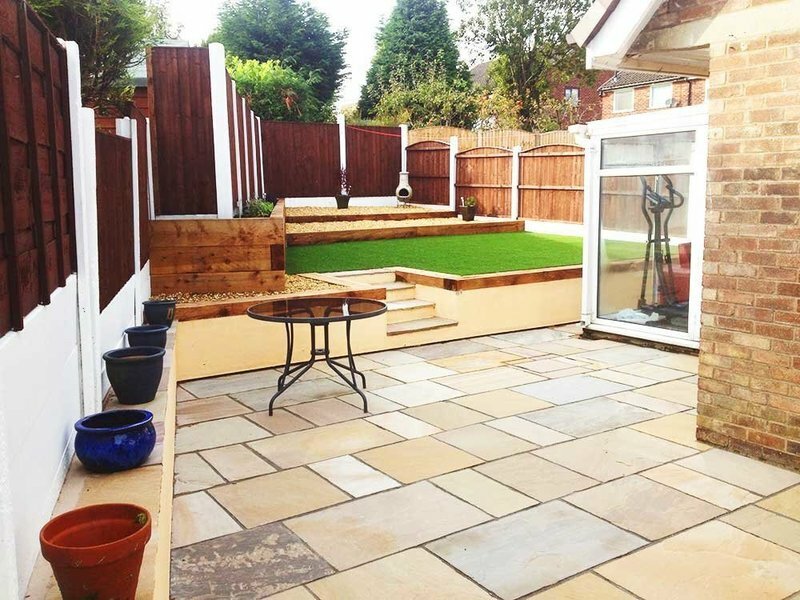 Upon first contact you will be talking to the people who will carry out the job which ensures a quality finish whether it be driveways, fencing or the installation of artificial grass surfaces. Commissioned Bespoke to relay drive and pathway at father-in-laws house. Right from beginning to end we were impressed by Gordon and his teams professional approach. They turned up on time, when they said they were coming, presented quotes very promptly, and gave us advice on best options available. The work was done in the same efficient manner - especially the coordination of building team, and other drivers to remove, prepare and lay new drive in 3 days. There was a slight drainage issue, but this was quickly resolved to our complete satisfaction. 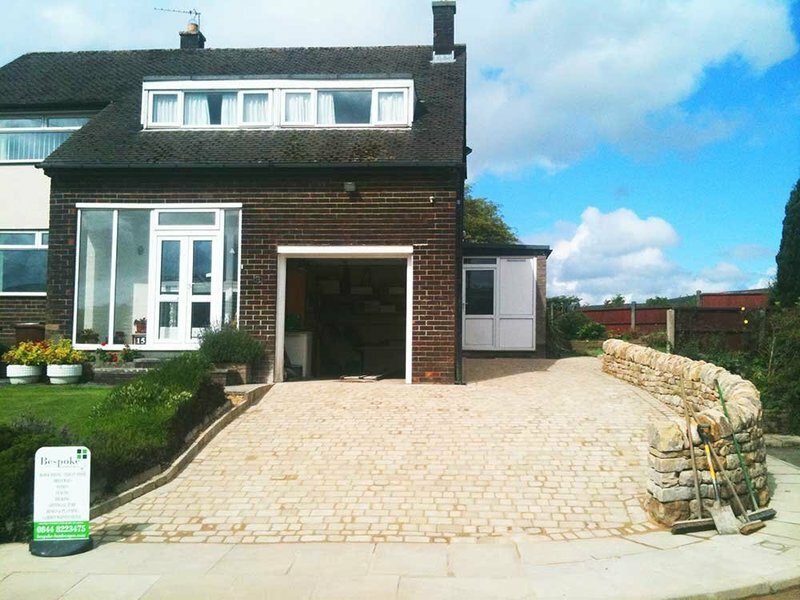 We would not hesitate to recommend this company, and are very happy with the fabulous new driveway. Looks twice the size - FABULOUS ! Once again a sterling job by all at Bespoke Landscapes! From start to finish professional and diligent work, at a great price. I will be back and will definitely be recommending you to others. Cheers guys!! I had my lawn and my patio with decking bespoke was recommended to me and Gordon came and priced up the job we are very pleased with the work ,all the team came on time and did a great job,happy with the price would recommend them to anyone. Many thanks to bespoke team.Ellen and Billy Long. Gordon and his crew worked the whole day to reinstate our Indian Stone front path, including replacing several broken flags and providing new inset LED lights and wiring. The whole, quite long, path was lifted up and bedded into concrete, plus a solid concrete grouting. Fortunately the weather was very kind for them and the site was left clean and tidy (including picking up stone chips on the surrounding lawns and coning off the area). All the residents here were very impressed with their politeness, pleasantness and level of expertise. Gordon was on site all day. A job well done! Gordan and the team never fail to impress. For the moment they arrive chatty, smiley and enjoying their work. Gives you the confidence if you needed anymore that they will do a great job. They have turned my bog of a garden into a enjoyable tiered space that myself and the Mrs, the kids, the dog and all my friends and family can enjoy. Would highly recommend always going out of their way in all aspects. Thanks Bespoke. Can really rely on the team and who are always great at picking up phone and explaining everything. Get very positive feedback from our tenants, who he will contact directly about an ETA and comment saying he's great guy and communicator. 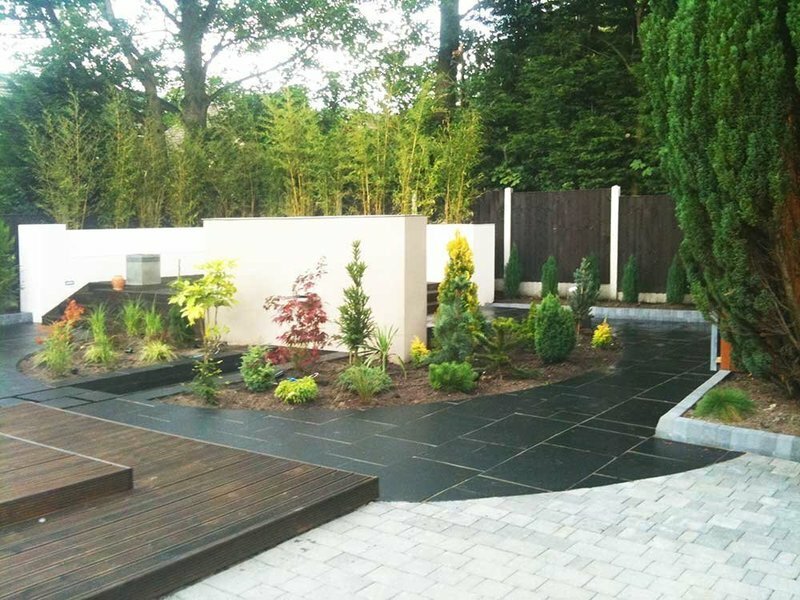 I would very much recommend Bespoke landscapes and would only ever recommend a trader to others if they carried out a fantastic job.